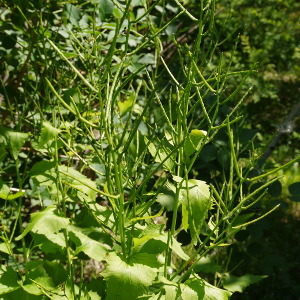 Garlic Mustard (alliaria petiolata) is a culinary herb brought to North America by early settlers. 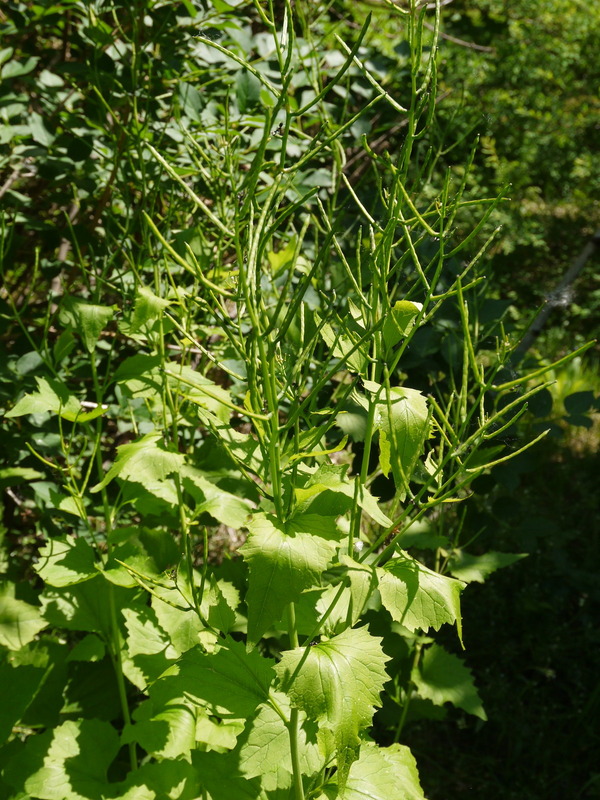 It's now classified as invasive and therefore often ignored and discarded as weed. However it's quite easy to control in a residential neighborhood and it's not too aggressive. You just have to cut it down and it's gone. It will certainly not survive your neighbors lawn mower. The most invasive species in North America are probably anyway humans and we don't classify ourself as invasive. It's good to have an edible herb that grows well. It means it's easy to grow and you will have enough of it to be able to eat it whenever you want to. We should eat more things that are easy to grow without herbicides or pesticides. 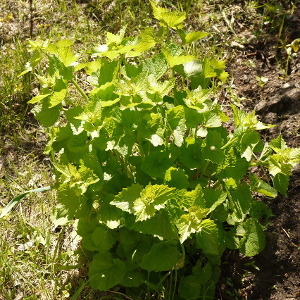 Garlic Mustard seems to prefer moist soil. It's a plant the grows to maturity over 2 years (biannual). 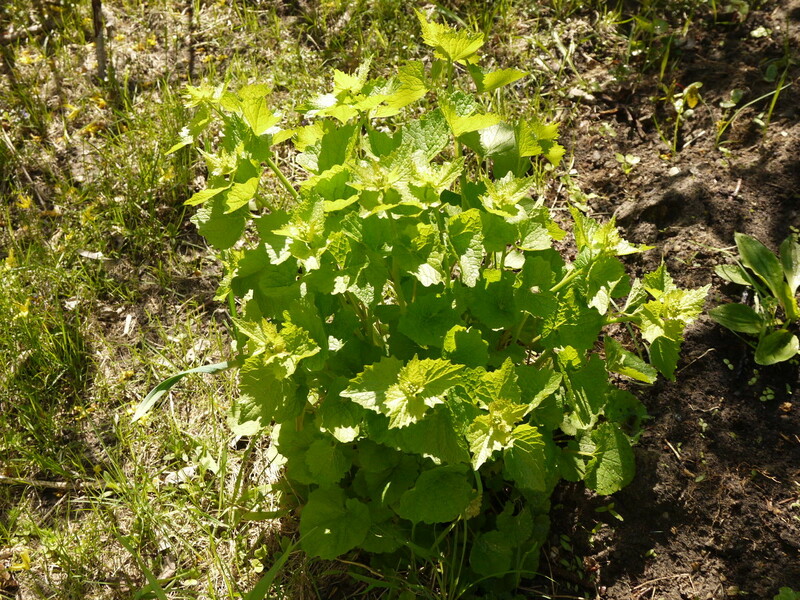 In the fist year it will only develop into a small plant with leaves near the ground. In the second year it will become a small bush about foot high and develop white little flowers. The seeds are about 2mm long and black. Garlic Mustard has a faint aroma of Garlic and is said to be rich in vitamins A, C, E and some B vitamins. 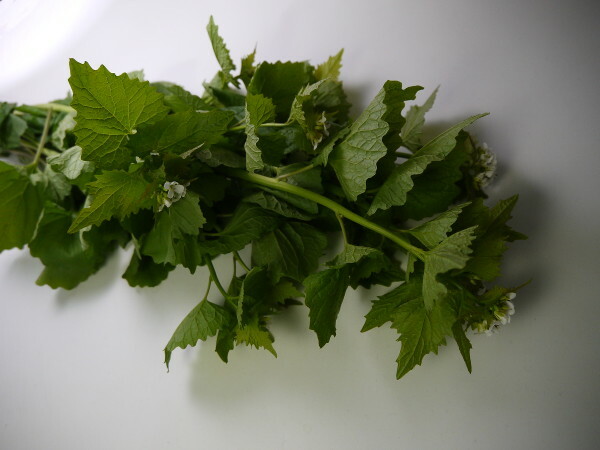 It strengthens the immune system and helps to reduce high blood pressure. You can add it e.g. to salads. 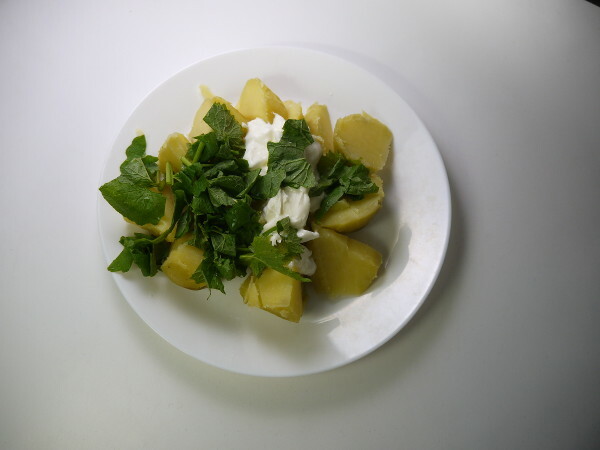 It goes well with boiled potatoes and sour cream.